Smart solutions that allow to control the working of radiators, thermostat and roller shutters may decrease heating bills by 20-30 percent. * Intelligent lighting control may generate extra savings. External roller shutters constitute an important element in this aspect since heat energy is lost through window panes. Already ca. one in five Poles use intelligent solutions in their houses. Smart home ensures that we do not need to worry about comfort, functionality, energy efficiency of the house and even safety of your family. 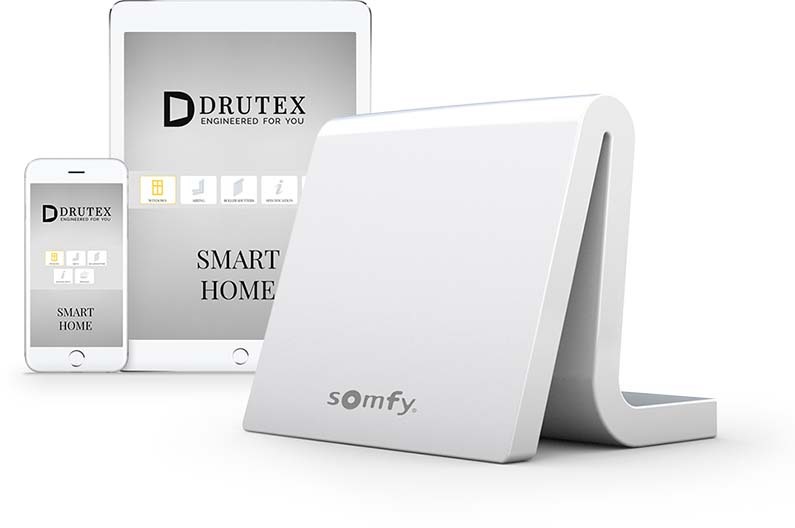 TaHoma Somfy automation allows to adapt all equipment at home to our needs and it also ensures usage comfort and fun. 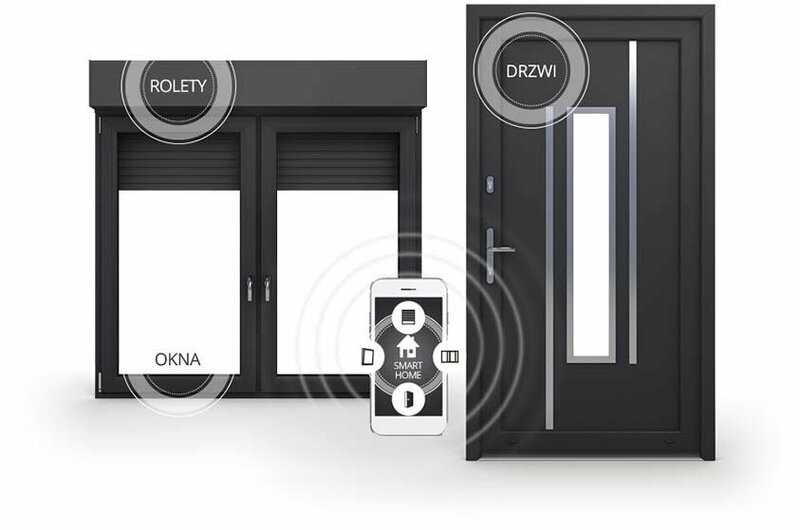 Windows, doors and roller shutters that, thanks to the modern Tahoma system, may open and close by themselves at selected times of the day and tilt and slide in integrated groups or individually, give us full control and supervision over our home even when we are out. We gain constant control by phone and if need arises we have access to the systems mounted at home at all times. Tahoma offers a simple and user-friendly interface to manage the system that allows to control all the equipment with a computer, tablet or smartphone. It is enough to connect TaHoma router to the home Wi-Fi router using the cable supplied in the set and to turn on power, then the router itself will run the necessary configuration settings. It is possible to control the home automatics through Internet browser on any computer and through apps on mobile devices (IOS, Android). Working with a PC is very comfortable. Tahoma system allows to control more than 100 various products in io technology. We give a command to carry out an operation and at the same time we may check if it was fully executed. For example, the garage gate is not closed because it came across an obstacle and it opened again automatically. You may create 40 control scenarios and activate them manually, automatically at specific times or depending on signals from the sensors. We ensure compatibility with all the devices that operate in io technology, additionally we give the possibility to control a number of models of devices made in RTS technology that is still present on the market, but it does not allow to check the execution of the command.